The Ingrid Klimke Breastplate is the perfect combination of a neck ring and a breastplate and was developed in cooperation with top rider and Passier partner Ingrid Klimke. The breastplate has particularly soft padding to make sure the horse hardly feels it. It has a removable martingale attachment. 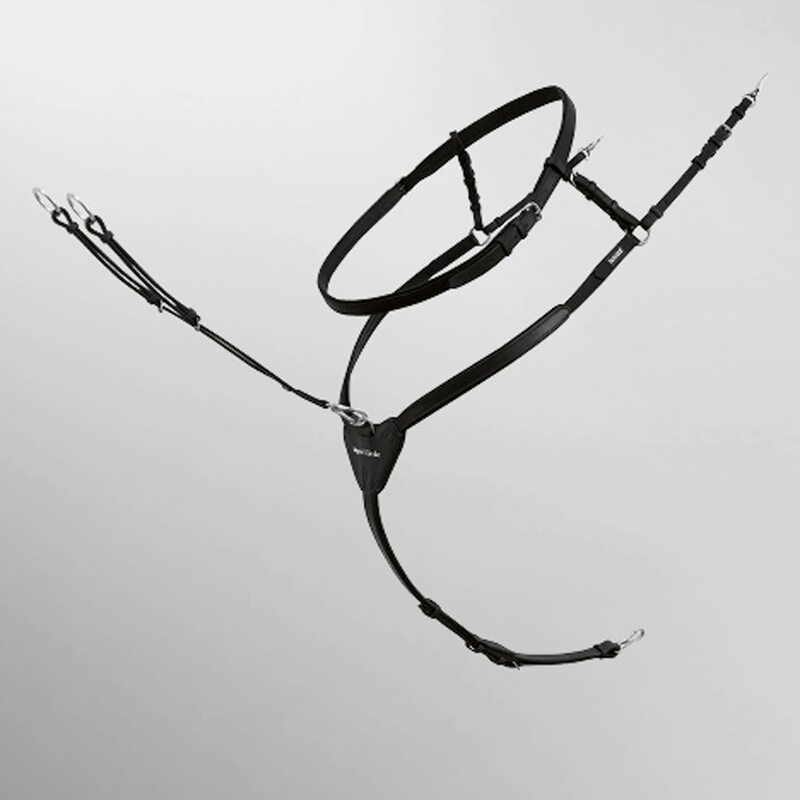 The Ingrid Klimke Breastplate can easily be attached to the saddle and the saddle girth with a snap hook. Chocolate brown color. Passier Ingrid Klimke Breastplate is rated 5.0 out of 5 by 1. Rated 5 out of 5 by NicksMom from love this I am very happy with this breastplate. It fits great on my 16.2 OTTB. Plenty of spots to make adjustments to fit. I usually ride with a neck strap, this gives me a little extra security in case of an oops moment where i know that neck strap is not going to go with me over his head in XC. leather quality is also very good. nice and soft.